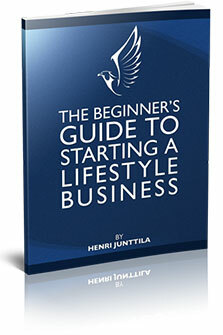 You want to start a lifestyle business. It sounds intriguing, but you’re not sure about all the details. What is it? Who can do it? Where do you start? What are the pitfalls? Those are some of the questions I get on a regular basis. Up until now, you had to dig around in my archives and look for the answers. But that’s no longer necessary. I’ve compiled all the most common questions (with the answers) into a this handy little report. You don’t have to opt-in. There are no hooks, no catches, and no surprises. 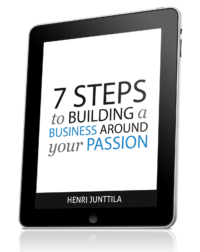 You can start reading The Beginner’s Guide to Starting a Lifestyle Business right now. All you have to do is click the link below and you’re off to the races. The report is a PDF file. You will need software on your computer that can open PDF. If you find that you can’t open it, you can download Adobe Reader, which is completely free. 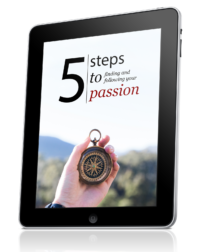 While this guide is completely free, I’d appreciate it if you shared this report with one friend, and shared it on your favorite social media platform. It helps this important message reach and help more people. Feel free to ask questions and let me know what you think about the guide in the comments below. What a fantastic way to start the day man, just downloaded the report and checking it out, looks awesome. PS. I’m pretty sure you’ll be able to start adding your own cartoons in these reports very soon… no, heck… I think you are ready already! PPS. Not sure about this but… I think these reports have so much quality in them that you could probably submit them to Amazon Kindle man, haven’t you thought about that? …it’s not really about the money, think about the EXPOSURE. Funny you should mention cartoons, because this report already contains two cartoons I created. Kindle books are definitely coming. It’s been on my list for a long time. Thank you so much Henri. Keep changing the world. Henri, where can I see your cartoons? I have a few cartoons in the beginner’s guide above, but I haven’t yet published any here on the blog. They are coming, I hope.